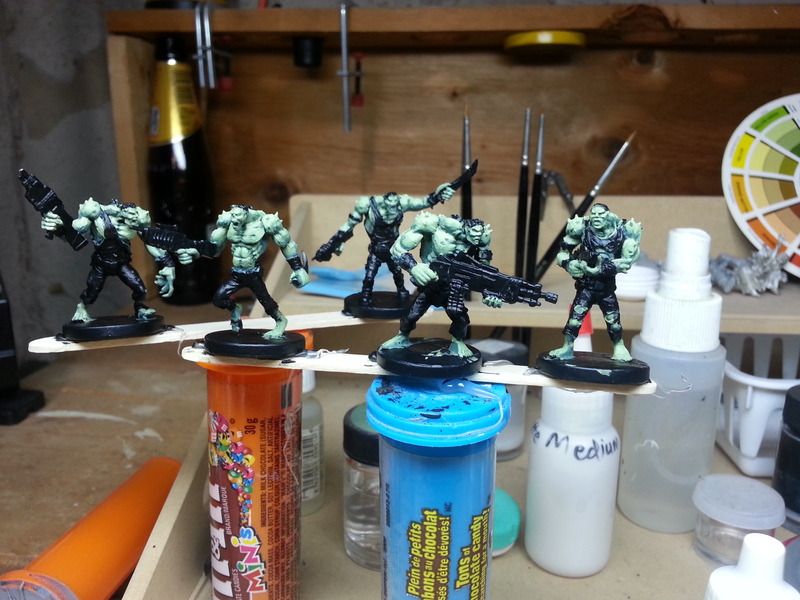 When I sat down to paint my Plague miniatures for Mantic’s Deadzone I didn’t want to follow the studio scheme. It was too pink, in my opinion, and I wanted something a bit different. The green flesh looks washed out and flat. Deadzone Plague 3A WIP by Tyler Provick. To me the flesh of the Stage 3As is just a husk holding the alien within. I added blue to my flesh tone hoping to get a nice pallid flesh. Instead, I ended up with a very green tone. I decided to keep it and off I went, painting happily away. When I had finished all the shading and highlighting I found the effect to be too plain. There was just one note to the paint scheme. I was trying to paint these suckers as quickly as possible so I know I wanted a quick fix. This is when Glazing came to my rescue. I’ve prepared a full tutorial on glazing if you aren’t familiar with it. In this case I wanted to add some more blue to my miniatures and break up the big green expanse. Glazing is different from washing because you can use any colour you want for it. Mix a translucent enough glaze and people won’t even consciously register the colour. It’s scary when your miniatures shadows are covered with bright blue paint but once it dries it really makes a difference. I also added some red glazes around the wounds and where the bones where pushing through the skin to make them more visible. I find the glaze has made my miniatures look much better than my quick and dirty paintjobs. 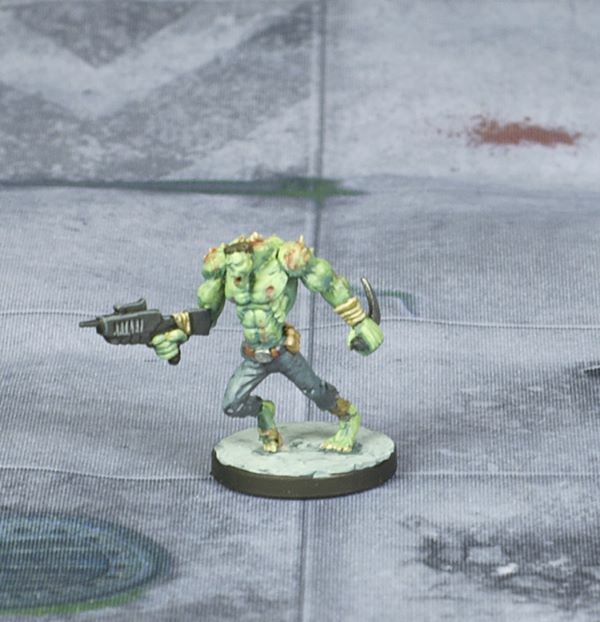 How are you painting your Plague? Try a glaze and see if it makes a difference in your painting and then let me know in the comments, on Google+ or Twitter.